Temporary primary school erected in the summer of 2007 to cater for the increase in children requiring school places in an area with a rapidly expanding population. 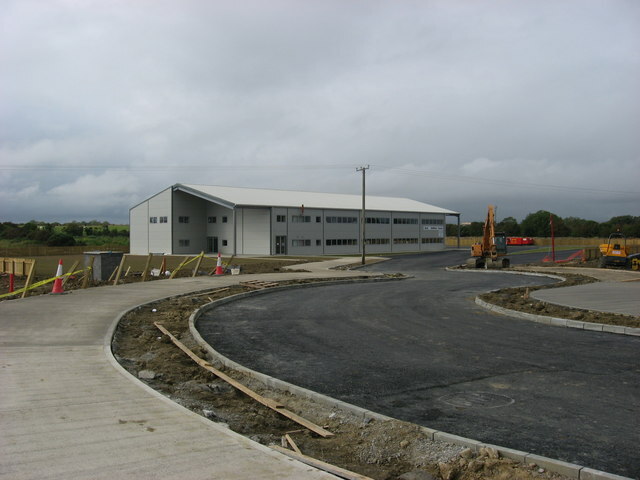 Vacated in May 2010 when a new permanent school, Scoil Oilibheir Naofa, opened on an adjacent site. From 2010 to 2012 it was home to the secondary school Coláiste na hInse before it too was housed in a new building just to right of photo. Geographically, the school is located in the townland of Ninch.